___________Colasanti Embraces Technology & Goes PAPERLESS! 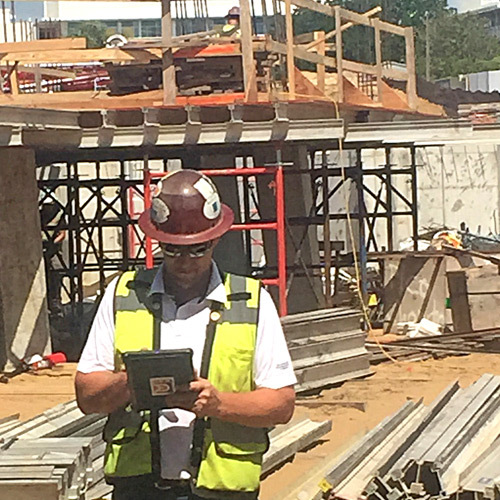 Colasanti embraces technology with the help of iPads and software programs such as Egnyte & Bluebeam. Our team reviews drawings, RFIs, sketches, on iPads in realtime, as design changes are made. The Colasanti Companies, known simply as Colasanti, started as a small Michigan-based construction company. Since 1953, we've built our reputation as one of the leading self-perform concrete contractors in the United States, now branched into three separate national companies doing work in 25 states and counting.